No word on Season 2. 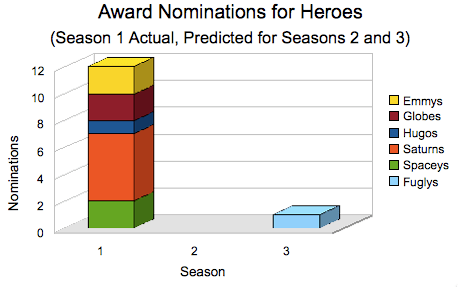 And with the… interestingness of Season 3, I suspect we’ll see at least one nomination: Fugly Worst TV Show. Doesn’t mean the show deserves the award, just that it may get successfully nominated. Um. Yes, I’m aware that’s not really logic. (Note on spelling: the plural of Emmy is apparently Emmys, not Emmies. I did the same for the Fugly, but apparently the plural of Fugly is Fuglies, not Fuglys.